The X-Men goodness is ramped up to 11 today with the first official look at Kodi Smit-McPhee as Nightcrawler. Well, now we have a spy photo from the set of Apocalypse, showing some of the new you leads of the film as the prepare for school. 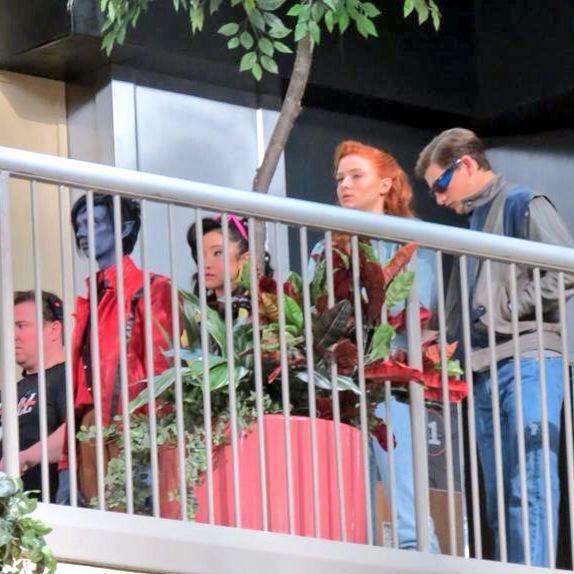 you can see Nightcrawler, Jubilee (Lana Condor), Jean Grey (Sophie Turner), and Cyclops (Tye Sheridan) all looking tubular. Apocalypse will take place a decade after Days of Future Past and is a seamless next step in the story. The altering of time has unleashed a new and uniquely powerful enemy Apocalypse (Oscar Issac). Charles (James McAvoy), Erik/Magneto (Michael Fassbender), Raven/Mystique (Jennifer Lawrence), Wolverine (Hugh Jackman) and Hank/Beast (Nicholas Hoult) are joined by young Cyclops, Storm, Jean and others as the X-Men must fight their most formidable foe yet – an ancient unrelenting force determined to cause an apocalypse unlike any in human history. 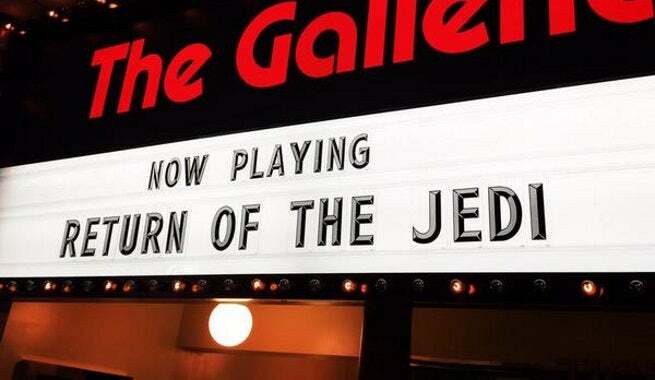 Director Bryan Singer and writer/producer Simon Kinberg also teased a bit more about time and place for this film as they posted pictures of a set film marquis showing Return of the Jedi. This detail plants us right into 1983 with a look that also teases a bit of the ’90s costume. The new mutants hit the big screen in Apocalypse on May 27, 2016.